CPAs excel at providing exceptional service once our clients are in the door – but actually getting them in the door is another story. With the advent of social media and the ever-important search engine rankings, CPAs may find the world of marketing more challenging. 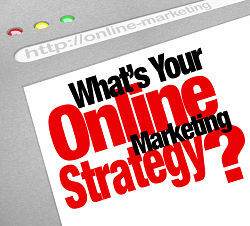 Your company website is your #1 marketing tool. Think about it – when you need something, what do you do? You Google it (or at least most people do). If you click on a website in the search listings and you don’t like what you see or are confused – you bounce. You leave the site, which is what many of your potential customers are doing if your site isn’t up to par. Let’s say that a potential client lands on your website. What do they see? Do they know what to “do” once they land? 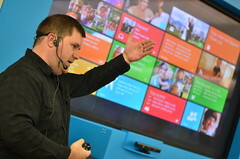 Remember when Microsoft was the 800-pound gorilla, the dominant software maker, the most valuable company in the world? That was about the time when Microsoft invested $150 million to save rival Apple from bankruptcy. Fast-forward 15 years, and Apple has risen from the ashes to become the hottest company on Earth—a corporate behemoth that, for a time earlier this year, boasted the highest market capitalization in history, a claim Microsoft once could make. Microsoft, meanwhile, has slipped from its perch on top of the corporate world and while it is still a business giant nowhere near a bankruptcy filing, the business shift from desktops and laptops to mobile devices and the cloud has put Microsoft in the unfamiliar position of playing from behind. Key Performance Indicators, while frequently discussed in the for-profit sector, can be an essential aspect of a non-profit organization’s financial health and performance. KPIs are quantifiable measurements of an organization’s health or success. Determining what KPIs are important for a particular organization can be difficult, especially if that organization isn’t a franchise in a larger collection of organizations. 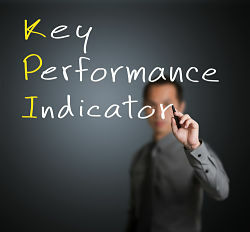 As a CPA, you can identify KPIs for your NPO clients, explaining how they can use these indicators to their advantage. When understood, KPIs can allow NPOs to benchmark their progress against peer organizations for context about healthy and not healthy positions to be in. What does it take to be a leader in your organization? Every accounting firm should be able to answer that question. And, more importantly, the answer should be known to future leaders so they clearly understand what they have to do to advance, especially when senior partners start to retire. It may seem like a no-brainer, but the 2012 PCPS Succession Survey for multi-owner firms reveals that only 15 percent of firms have a leadership training plan in place. Couple that with the fact that the number one perceived challenge to succession planning is that senior partners lack confidence in those moving up the ranks, and you have a major roadblock to a firm’s health, longevity and ultimate survival. Traditionally, investing and “doing good” have been considered two very different activities. Investing was about making money, while doing good was about giving money away charitably to foster some kind of positive change. However, the two concepts have started to merge and form what is now known as socially responsible investing. It offers a way to achieve both a financial and a social return on an investment and has become a popular idea over the last decade. Sustainable and responsible investment now accounts for more than $3 trillion of the roughly $25 trillion in the U.S. investment marketplace, according to the Forum for Sustainable and Responsible Investment. As many of you may recall, in an effort to bring attention to how and why the financial sustainability of our nation is at risk, earlier this year the AICPA developed What's at Stake? A CPA’s Insights into the Federal Government’s Finances, which explicitly spells out the issues for policy makers and the public. Following up on those calls for solutions to our nation’s financial problems, Accounting Today reported that the AICPA’s board of directors recently voted to adopt a resolution calling on lawmakers to do more to ensure the long-term fiscal health of the United States by better controlling the growing national debt. One aspect of this resolution involves the AICPA supporting two non-partisan efforts, the Campaign to Fix the Debt and the Comeback America Initiative, both of which align with the AICPA’s goals of putting America on a better path toward fiscal responsibility. As AccountingWEB notes, the resolution will also be shared with state CPA societies as the AICPA continues to seek ways to advocate for reduced complexity for American businesses and individuals. Stay tuned. Now that the election is over, the question remains: what does this mean for the upcoming tax season? 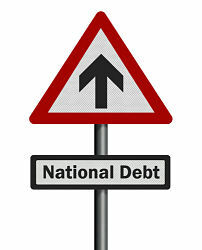 In reality, not much will change between now and Dec. 31 and the potential fiscal cliff continues to pose challenges. The more we can plan and get our clients prepared for uncertainty, the better. That’s where year-end planning comes in. It’s important to reach out to your clients now to develop plans and analyze “what if” scenarios based on what Congress will do to tax rates, exemption extenders and overall tax policy. Picture this: It was April of 2012 and my baby boy was due to arrive any day. The nursery was ready. My bag was packed. There was only one thing left to take care of: the car seat. I had heard horror stories of how hard they are to install, so I had been procrastinating. Time was running out, so I opened the box and unfurled the instructions... I stared blankly at a piece of paper that had been folded one billion times, with directions printed in every language known to man. Since I am a well-grounded professional adult, I will not admit here to tears, but let’s just say I was overwhelmed. You see, I just wanted someone to show me how to do it. And those stick figure illustrations with confusing arrows just weren’t cutting it. With one simple search of the make and model of my car seat, I had dozens of friendly faces showing me exactly what to do. There, not so hard after all. Last month, I had the pleasure of attending the very first Women’s Global Leadership Summit, organized by the AICPA Women’s Initiatives Executive Committee, along with sponsors AICPA Private Companies Practice Section, the American Woman's Society of Certified Public Accountants and the Canadian Institute of Chartered Accountants. What an inspiring experience with a group of accomplished, empowered women. Women from all areas of accounting gathered to talk about the business case for creating inroads for women leaders in the profession, best practices for onboarding, preparing and maintaining female leadership and the effectiveness of establishing mentorship and advocacy programs. Large cities and small towns across New York, New Jersey and Connecticut are now recovering from Hurricane Sandy, one of the most devastating storms to have ever struck the East Coast of our country. The images are heart-wrenching, the personal suffering is real and the need is enormous. Many individuals and families are still without the most basic necessities of life…food, clean water, heat and a safe and secure home. One of the groups being relied upon most to help bring stability, hope, community spirit and pride back to these neighborhoods is small businesses. As a CPA devoted toyour small business clients or your organization, as well as to your friends and neighbors, you are more than a trusted counselor on disaster recovery. You are also the go-to source for the public- and private-sector organizations that can best help small business owners get their businesses up and running, and disaster victims get their lives back on track. Rich Caturano, CPA, CGMA, chairman of the AICPA has contributed a blog post detailing AICPA resources and tools to help CPAs through this difficult time. 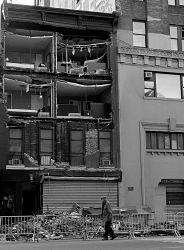 I was a kid from a blue-collar immigrant background, growing up in a neighborhood where most adults cobbled together a living from two or three jobs. When I turned 12, our community got its first CPA resident. That’s when I learned what a CPA was, and that it could lead to a better life. Thanks to the CPA profession, I grew up to be able to live the great American Dream. I am honored and excited to write to you as the new AICPA Chairman of the Board of Directors. I believe the CPA profession is full of even more promise today than it was when I first started my career. For those with determination, adaptability and persistence, the profession offers extraordinary possibilities. I’ve learned the key to achieving that success: embracing change and seeing the opportunities in it. Like many of you, I’ve seen hundreds of images – gut wrenching, heartbreaking images – of the devastation and destruction unleashed by superstorm Sandy. But let me tell you about this one. Think about the importance of that simple gesture. Those homeowners gave their neighbors far more than free electricity. They gave them connection — a link to the outside world, a way to tap into their community of family and friends, find information and begin to move forward. What Is the AICPA’s Health Care Expert Panel and What Do They Do? Up until about a year ago, I had only heard that the AICPA has expert panels but I didn’t really have any idea about what they are or what they do. I was asked to staff the Health Care Expert Panel and I can tell you last year has been quite a ride! Who Is the Health Care Expert Panel and What Is Its Mission? The Panel consists of 13 members who represent a mixture of firm practitioners as well as preparers and users who work in the industry. They all have one thing in common—they are considered to be some of the health care industry’s “cream of the crop” and best equipped to carry out the panel’s mission to protect the public interest and address the needs of AICPA members in the areas of financial reporting (including business reporting), audit and attest services, and regulatory matters from the health care industry perspective. The AICPA Examinations Team’s office is located in Ewing, NJ and has been affected by Hurricane Sandy. Although the offices were not damaged, extended loss of power and telecommunication affected systems and staff. As a result, the release of CPA Exam scores for results received day 1 – 20 by the AICPA and were scheduled to be released on Nov. 5 had to be delayed. Below is the revised score release timetable for the first round of score release for the October/November 2012 testing window.